If you’re hoping to transform your kitchen, we can help. The kitchen is the beating heart of your home, whether you’re feeding a busy family or looking to create a tranquil space for entertaining or working. You might know just how you’d like the space to work, feel and look, or you might be exploring possibilities and looking for inspiration. We will turn your ideas into a functional yet beautiful kitchen that you’ll love for years to come. Our experienced team and expert craftspeople will work with you from concept to installation to deliver a bespoke kitchen that works specifically for your needs. 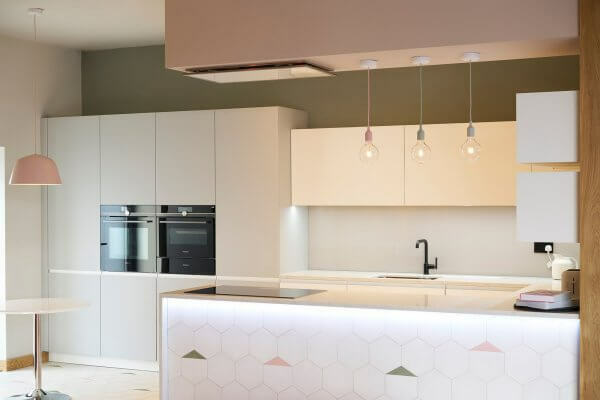 We are design-driven and innovative, finding optimum ways to use a space, from tiling, lighting and paint colours through to larger kitchen furniture and fittings. 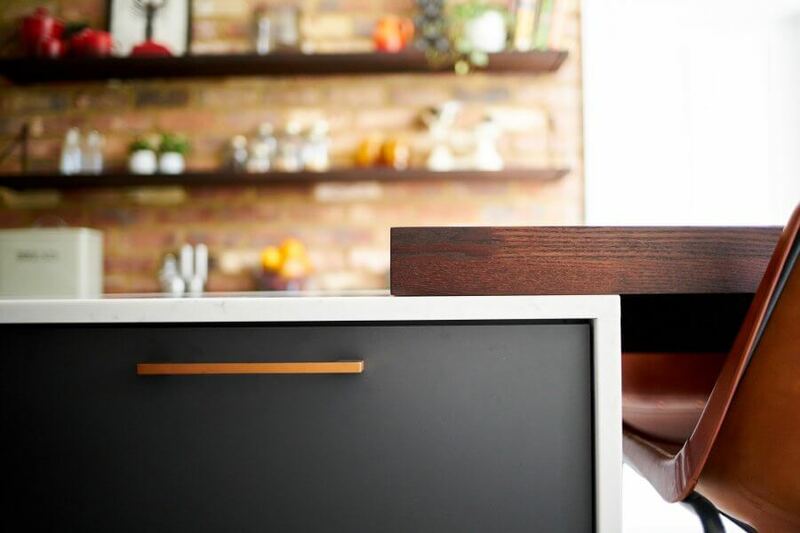 Our attention to detail means you can rest assured that your kitchen will be meticulously planned and skillfully brought to life. At The Brighton Kitchen Company we know how to listen. We know that installing a new kitchen is a big investment. We take the time to get to know you, so our designers can create the perfect kitchen for you – for now and for the future. Perhaps you want to breathe new life into your home or are renovating a house. 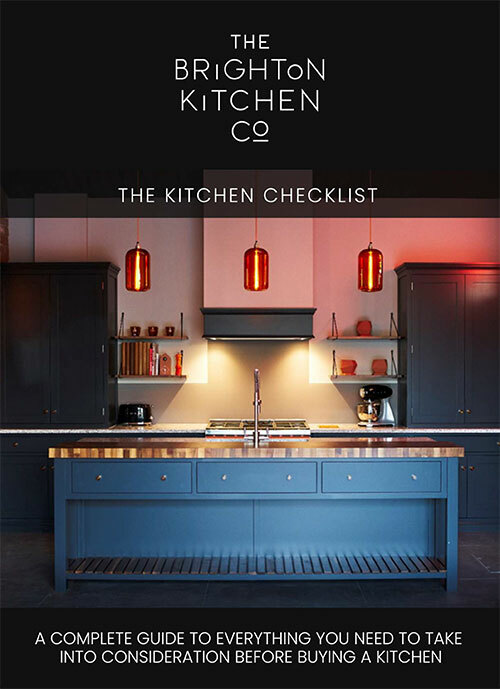 Maybe you’ve decided that your life would be enhanced by an organised, practical kitchen that also looks incredible. Whatever your kitchen dreams, we’ve got you covered. 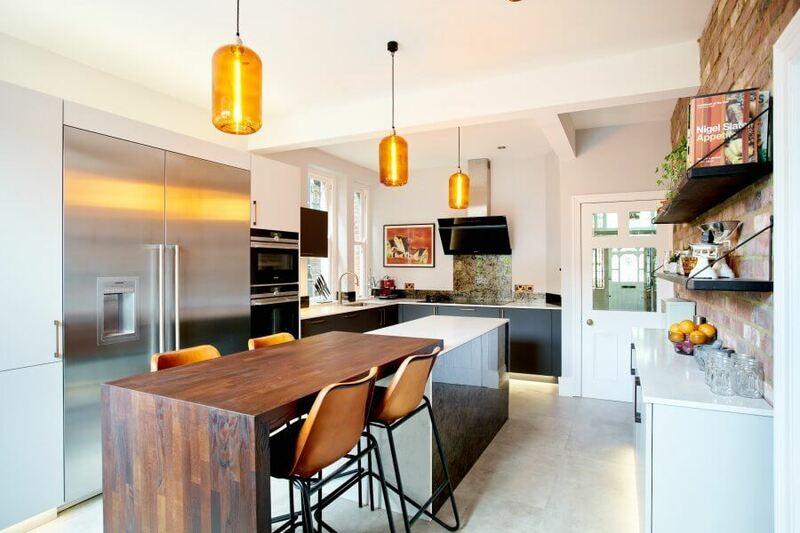 Offering an exceptional service, our kitchen designers are also qualified interior designers. So we can guide you smoothly through the whole process, from initial ideas to the finishing touches. 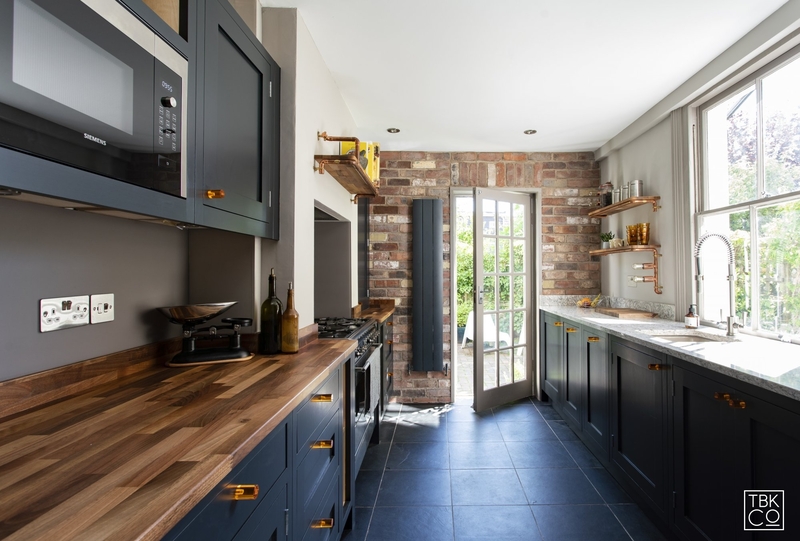 From an elegant classic style to a minimalist Shaker kitchen, an industrial look to a contemporary cutting edge design, we can create a kitchen for every aesthetic. 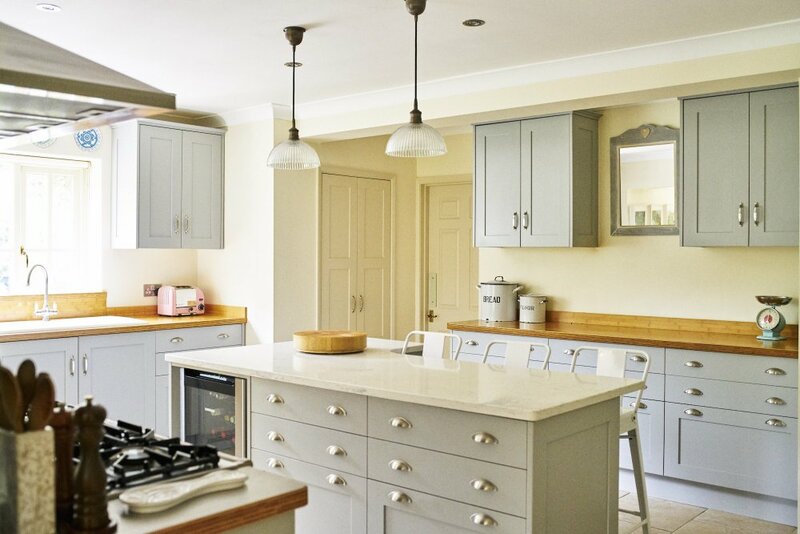 We specialise in top quality German contemporary kitchens and hand painted in-frame Shaker kitchens. Our designs combine practicality with timeless beauty, and each one is unique. Once we’ve worked with you to find the right look for your home, we will tailor the best cabinetry, worktops, appliances and fittings to your exact specifications. We only work with the highest quality materials and products to ensure your kitchen will stand the test of time. The best way to imagine your dream kitchen is to experience it. Come and visit our showroom, in the heart of Mid Sussex, where you can touch the smooth surfaces of our worktops, feel the gentle glide of a drawer, see the glimmer of a shiny tap or delve inside a custom-made larder cupboard. 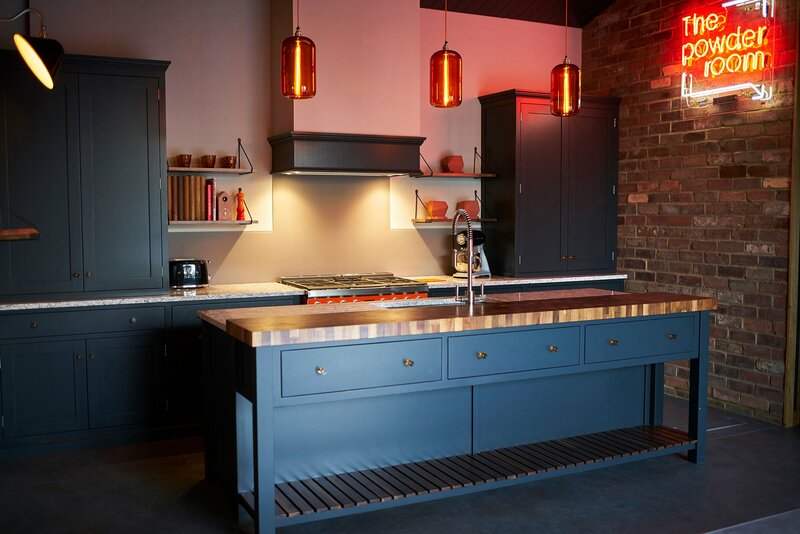 Kitchens serve many different purposes, and at our showroom you’ll get the chance to really see how The Brighton Kitchen Company bespoke kitchen designs would work for your home. You can picture yourself cooking at a table, or pouring drinks for friends, or chatting to your loved one while putting away the dishes. You can imagine the feasts, homework assignments, stories told and quiet moments you will share in your new kitchen. Located just off the A23 near Hickstead Showground, we cover all areas of West and East Sussex, Surrey and Kent including Hove, Haywards Heath, Horsham, Lindfield, Worthing, Guildford, Petersfield, Haslemere, Farnham and Midhurst. Let’s talk about your dream kitchen.